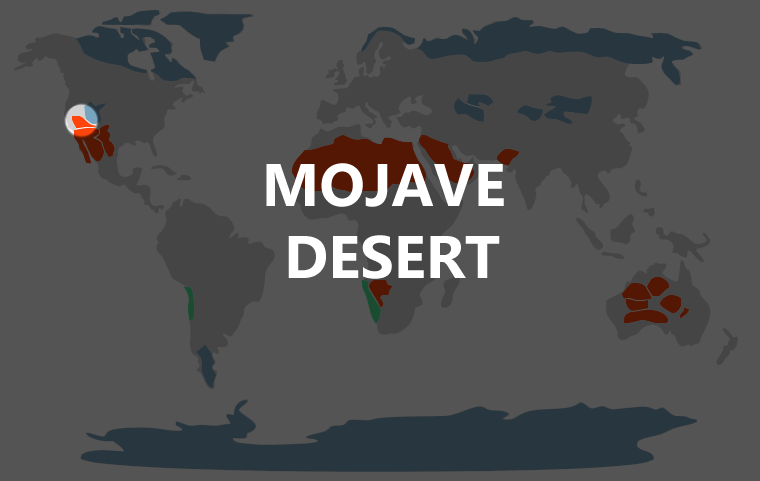 Sometimes called the “High Desert”, the Mojave Desert is one of only four arid regions found in North America, but it is also one of the most interesting. Originally settled by the Mohave Native Americans, it is considered to be the driest and smallest desert on the continent and is home to thousands of living plants and animals despite the limited water resources. The Mojave Desert is not your typical desert due to the wide variety of habitats and elevations that can be found in the area. However, inhabitants of the southwestern desert, including humans, must tolerate extreme weather conditions with incredibly hot summers and often terribly cold and wet winters. With over 25,000 square miles of land, the Mojave Desert spans several states including southwestern California, Nevada, Arizona, and Utah. Bordered by the San Gabriel mountains, there are many low lying valleys and barren mountain ranges found in the region, with typical sandy plains and dried up creek beds as well. The Mojave river runs through the southern portion, supplying a crucial water supply to an otherwise completely barren land. The Mojave Desert is also home to the popular and mysterious Kelso Sand Dunes, composed of fine grained sand and rose quartz particles, giving the sand dunes a rosy, pinkish tint. The formation of the Kelso Sand Dunes is still puzzling to geologists, and even more strange is the loud booming sound that can be heard while visiting these majestic dunes. The climate in the Mojave desert can be quite extreme, largely due to the significant difference in elevations found in the area. The highest peak in the Mojave Desert stands at over 11,000 feet, while many of its valleys are below sea level, creating a diverse range of weather conditions. During the summertime, temperatures within the Mojave Desert region can reach upwards of 120 degrees. On the other hand, winter nights in the desert are often below freezing. Rainfall and even snow, are common during the winter and spring months, which allows for beautiful springtime vegetation before the hot and dry summer sets in. Windy conditions are also one of the most common weather phenomenons experienced in the area, with winds sweeping in from southern California. Autumn is typically considered to be the most pleasant and calm season in the Mojave Desert with temperatures ranging from 70-90 degrees during the day, with a very small chance of thunderstorms. Tourism in the area greatly increases during this time of year. Amazingly, there are numerous plants and animals who thrive in the unforgiving Mojave terrain. The animals and plants found here are incredibly adaptable and resilient in nature, each playing a very important role to the area’s ecosystem. One of the most interesting plants that call the Mojave Desert home is the Joshua Tree, which has great difficulty surviving in any other region on earth. Even though at first glance the desert looks harsh and barren, it is actually home to diverse wildlife including snakes, birds, mammals, trees, flowers, and shrubs. Humans have lived in and around the Mojave Desert for thousands of years, and the area has a colorful and interesting history. The Mohave Tribe settled along the river and many tribe members still live there today. 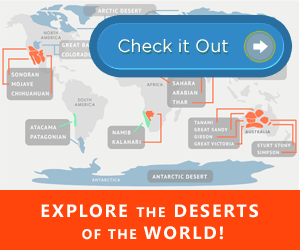 There are two main reservations found in the Mojave desert, the Fort Mojave, and the Colorado River Reservation. Fort Mojave is home to Mojave Indians while the Colorado River Reservation includes members from several different tribes. The Mohave culture is filled with rich traditions such as farming, arts and crafts, religion, and language. Farming is a very important part of Mohave history even though growing food can be extremely difficult in the dry climate of the desert. Mohave men and women worked together in the fields, with men planting and watering vegetation, and women harvesting it. Pottery and beaded jewelry are also an important part of Mohave culture, women can often be seen wearing beaded collars. Sadly, the Mohave language is slowly disappearing, with only 75 members currently speaking. However, there are renewed efforts to teach this ancient language to new generations of Mohave children.